Rovio has today announced that it will release the second part of its smashing hit Angry Birds Star Wars game on September 19. The original Angry Birds Star Wars, which was launched in November last year and quickly soared to the number one paid app in the US and Canadian App Store in just 2.5 hours, was updated last month with 20 new levels and a new character, Lando Bird. Currently, the game is available as a free dowload in the App Store as Apple’s free App of the Week. 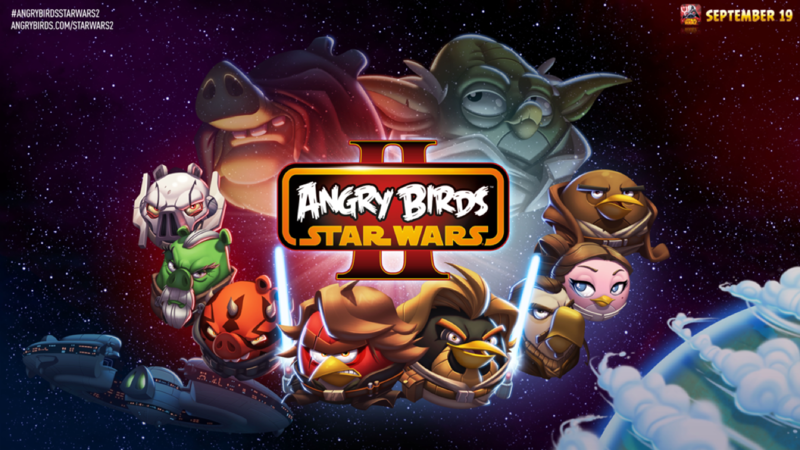 With Angry Birds Star Wars II, Rovio promises to tackle the prequels, introducing a “wide roster of never-before-seen Angry Birds Star Wars characters”. The best part is you’ll get to play with over 30 of those characters. The company will also release new toys, plush, books, apparel and more with the game launch on September 19. “At this point we will not comment on rumors or speculation that Jar Jar Binks will be in the game. Another first for the series is that you can choose your side! Players can choose to “Join the Pork Side”, and rumor has it that the emperor is recruiting”.